Obituary for Charles A. 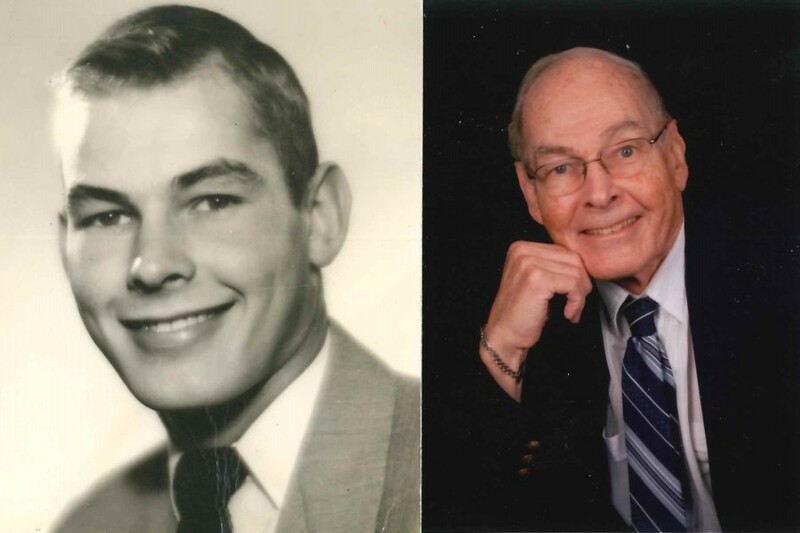 "Charlie" Ker | Cremation Services of Kosciusko County, Inc.
Charles A. Ker, 84, a lifelong resident of Warsaw, Indiana, passed away on Tuesday, January 29, 2019 at Miller’s Merry Manor. He was born on May 29, 1934 at Warsaw McDonald Hospital to Charles H. and Jessie A. Ker. He is survived by his loving and caring wife, Connie Ker. Charlie graduated valedictorian from Warsaw High School, class of 1952. He was senior class and student body president, and MVP of the baseball team. During high school, he helped start the Warsaw Little League and was one of its first coaches. Charlie furthered his education and baseball career at DePauw University where he graduated with honors in 1956. He also received an MBA in Finance from Northwestern University. Employment included Eli Lilly, Dalton Foundries, Endicott Industry, Warsaw Schools, Lake City Bank, Prudential Financial, and World Marketing Alliance. He was a devoted member of Warsaw Evangelical Presbyterian Church, where he was baptized; serving as deacon, elder, Sunday school teacher, choir member, and student of the Bible. Community service included United Way, Chamber of Commerce, Bakers Boys Club, Junior Achievement, Rotary, Tippy Country Club, YMCA, American Diabetes Association, American Lung Association, Christian Businessmen, Warsaw Little League, Grace College President’s Council, Lake City Bank Board, and Property Tax Board of Appeals. He enjoyed watching his beloved Cubs, and playing baseball, softball, golf, tennis, water volleyball, boating and bridge. Charlie always played to win. He was honored with the Warsaw Jaycee’s Distinguished Service Award in 1968, Chamber of Commerce Man of the Year in 1975, Warsaw Little League Wall of Fame in 2005, Eli Lilly 50 Year Award for Insulin Therapy, and Joslin Diabetes Center Award for 50 courageous years with diabetes. Charlie was an insulin diabetic for 70.5 years, one of the longest-living in the country. Survivors are his daughters: Kelly (Marty) Hackleman, Kansas City, MO; Karen (Tom) Grooms, Noblesville, IN and Kristi (David) Bruton, Marietta, GA. Sons: Kevin Ker, Whitestown, IN and Kristopher Ker, Chicago, IL. Stepdaughters: Kelly (James) Cleland, Ann Arbor, MI and Chandra (Sam) Collier-Grigg, New York, New York. Grandchildren: Michael and Daniel DeVuyst; Tommy and Molly Grooms; Sydney and Samuel Bruton; Sam, Ben and Claire Cleland. Charlie was preceded in death by his parents and his first wife, Ann Hall. A memorial service will be held at Warsaw Evangelical Presbyterian Church, 210 S. High Street, on Saturday, February 9 at 11 a.m. with Pastor Erik Ohma officiating. A greeting line and luncheon will follow in Fellowship Hall. Memorials may be given to Warsaw Evangelical Presbyterian Church or to the Juvenile Diabetes Research Foundation (JDRF).